The easiest way to introduce color to your apartment? Why, through houseplants, of course! Not only do indoor potted plants help add a pop of green to your space, they also help improve the air quality of their surroundings. Here are a few of the best air-purifying plants for your rental. Boston fern. Did you know that Boston ferns remove more formaldehyde from the air than any other houseplant? These showy plants appreciate high humidity, so be sure to spritz their fronds to keep them happy and healthy. Rubber plants. This houseplant is perfect for darker corners of your rental that sunlight can't quite reach, and it's relatively easy to care for. Sansevieria trifasciata. 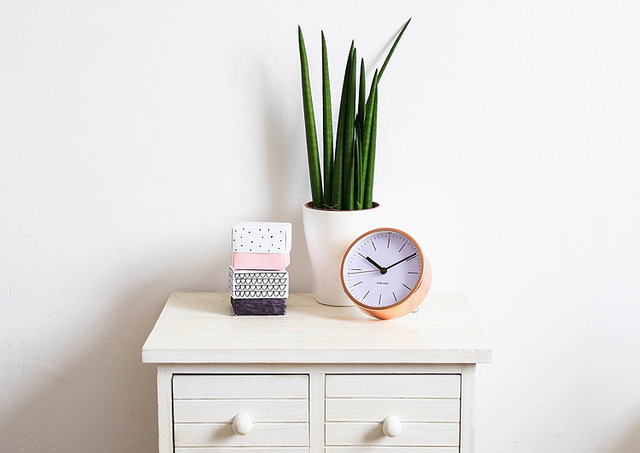 Also known as "snake plant" or "mother-in-law's tongue," this plant is proven to clear the air of chemicals like trichloroethylene, xylene, and benzene. Peace lily. Not exactly blessed with a green thumb? Consider the peace lily! This houseplant features spade-shaped white blooms that contrast its dark foliage. When the leaves start to droop, that's a signal that your plant is thirsty. Philodendron. Easy to find at your favourite home improvement store, the low-maintenance philodendron is adept at absorbing xylene from the air. Still looking for that perfect apartment? Try one of our nine cities! For more information on our apartments for rent in Edmonton, Sherwood Park, Leduc, Grande Prairie, Kamloops, Kelowna, Prince George, Abbotsford and Langley.